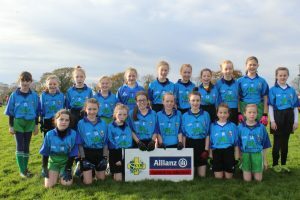 On Saturday 11th November the Bellurgan National School girls took on Tallanstown National School in the Final of the Corn Shean MacCaba in The O’Connells’ Pitch in Castlebellingham. 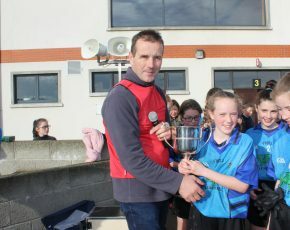 The Cumann Na mBunscoil – An Lú finals were eagerly anticipated after the Bellurgan girls lost out narrowly in 2016 by one point. This year they were to go one step further and a superb performance in the final secured the silverware. Congratulations to the team and Coach Miss Murray as they secured this title for the first time in our schools.